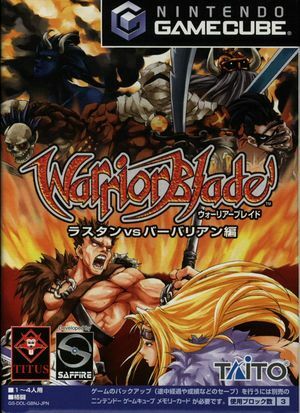 Warrior Blade: Rastan vs. Barbarian features 11 different fighters, each with different weapons and abilities. It allows freely destroying the environment, and using it as a weapon against one's opponent. The characters each have alternate costumes, which may change the default weapon; however, it does not affect the weapon's damage capabilities or uses. The graph below charts the compatibility with Warrior Blade: Rastan vs. Barbarian since Dolphin's 2.0 release, listing revisions only where a compatibility change occurred. This page was last edited on 18 March 2019, at 08:18.